Years ago we started having an organic box of produce delivered to our house. Over the years the service has changed and one thing they do is have things you can add on. One time I ordered a quiche. I posted about it (Quiche, Anyone?) because I thought I was getting an already-made-quiche but it was a DIY quiche. I had to make it. It was delicious. 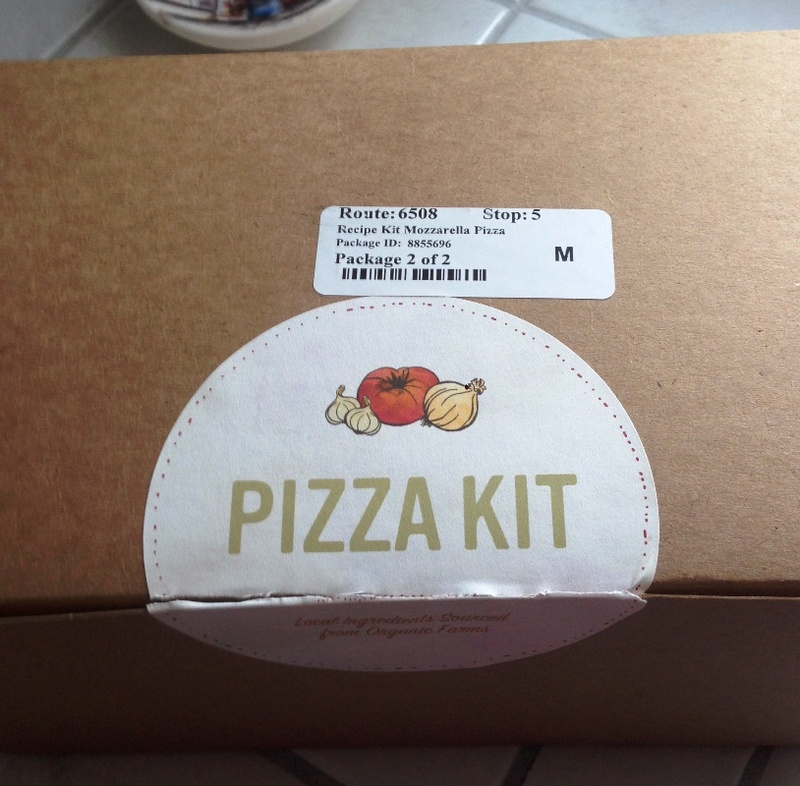 Well, this time I decided to order a pizza and this time I knew it was DIY. I hate pizza dough and I thought this one would be easier. Let me clarify when I say I hate pizza dough, I should actually say I hate WORKING with pizza dough. 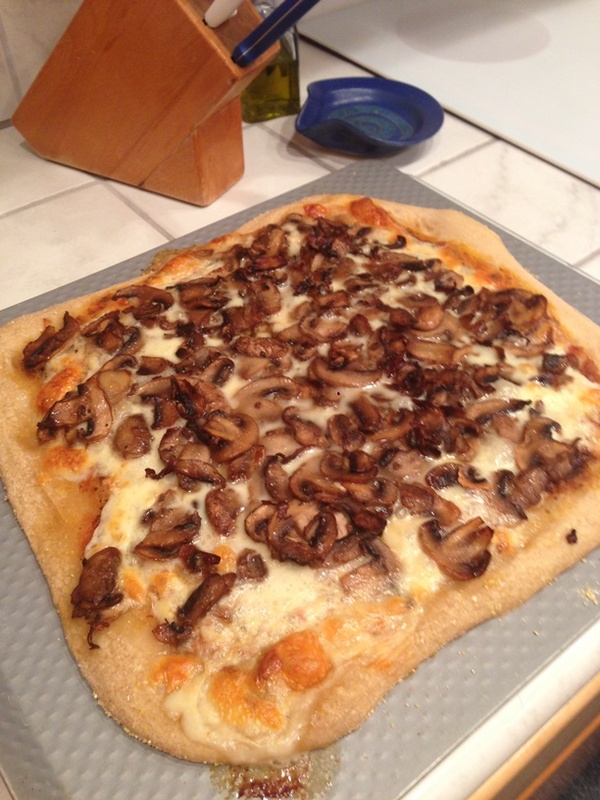 I love pizza crust, but I just don’t work well with the dough. I thought this one would be easy. It was ok. I think the first problem I have is that I might actually believe the directions when it says to stretch it to 14 to 16 inch circle. My pan is 14 inches and it was stretch pretty thin. 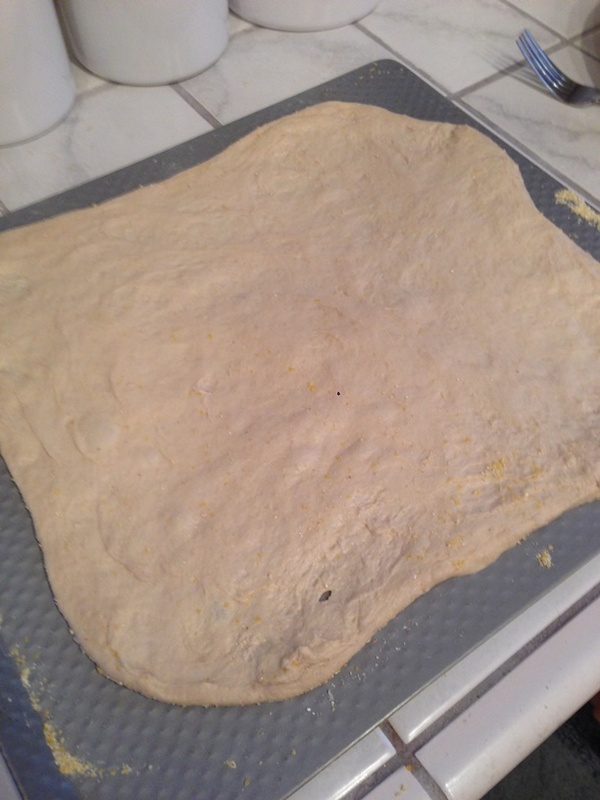 I can’t see it getting to 16 inches, but then again – I don’t work well with pizza dough. First I made the mistake of taking all the ingredients out while I cooked the mushrooms. I was thinking proudly, that I would read the directions and make sure I was ready to go. Too often I have waited until the last minute to read the directions only to find out something needs to sit out for 50 minutes or something like that. So, I thought I was being smart. Well, I was had I put everything back in the refrigerator or even the freezer. By the time I tried to grate the cheese it was just melty. And the dough was stuck in the container. So I did end up putting it in the freezer for a bit, but that delayed me actually making the dinner. Anyway . . . it was pretty good. I didn’t cook it enough. It was very doughy. But we ate it anyway . . . at least most of it. We have some left. I will pop my portion in the toaster over to finish cooking the dough, but my husband said he liked it the way it was. 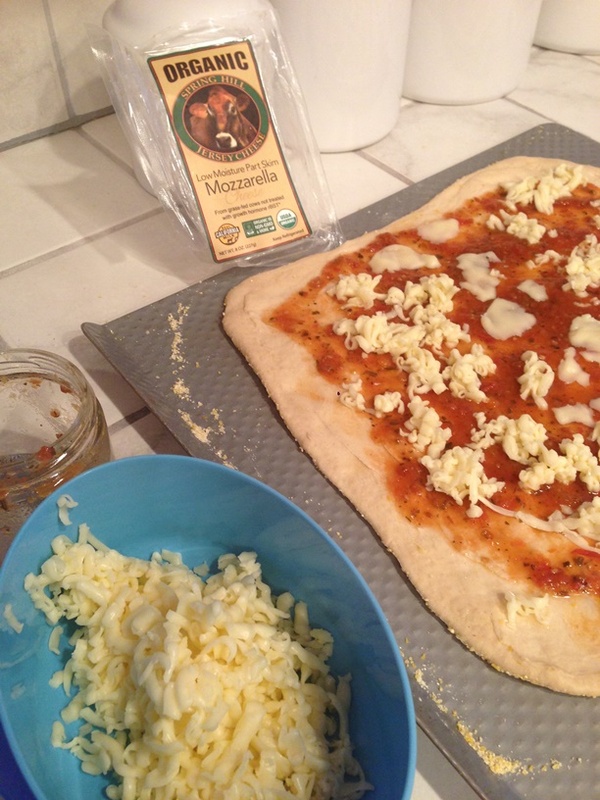 I really loved Fully Belly Farm’s quiche crust so I thought I would like the pizza dough. And I do, I just need to cook it better. 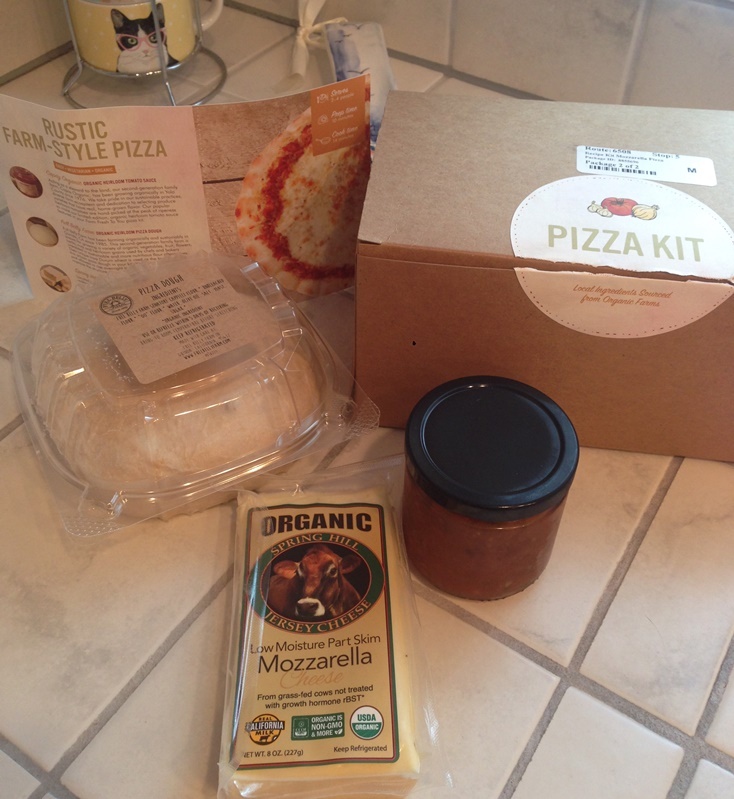 The DIY box consisted of dough, cheese, and sauce. I added the mushrooms. 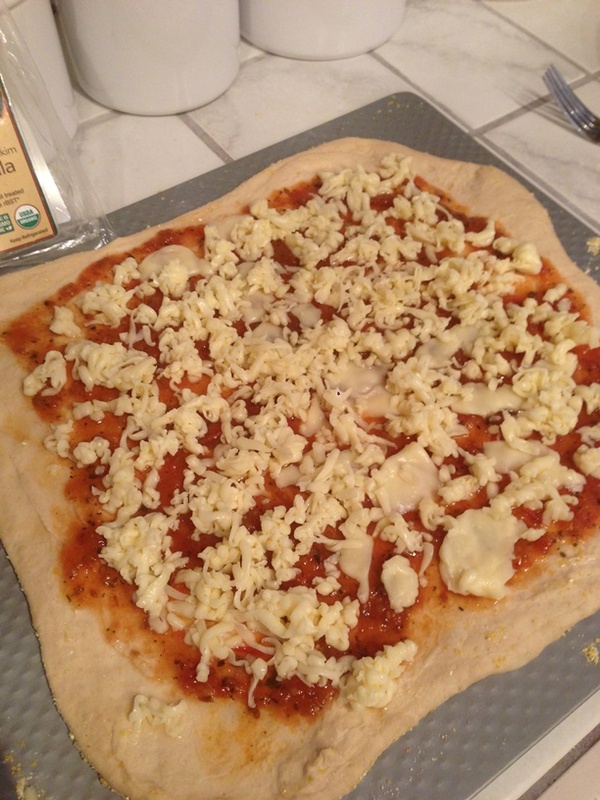 Below are pictures from the DIY Pizza. 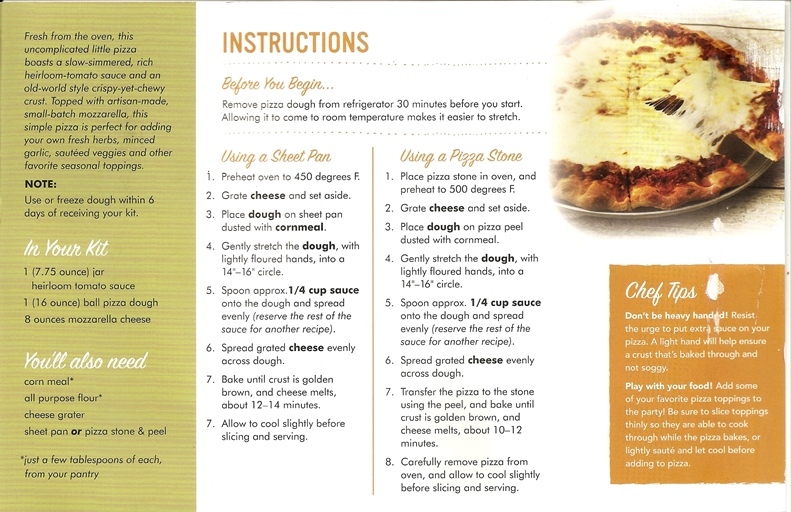 Do you make your own pizza dough?